Throughout 2019 we’re celebrating STOMP bringing the beat to NYC audiences for 25 years. On 3rd March 2019, two extra-special performances took place at our NY home, The Orpheum Theatre. Many of the US alumni dusted off their boots to join us on stage once again. It was a STOMP family reunion of epic proportions, with all eight first generation original cast members reunited and in attendance. Later in the evening celebrations continued at SLATE and in true STOMP style, shapes were well and truly thrown! The STOMP family extends far beyond our performers and crew. Our extraordinary fans from across the world are what makes the STOMP family so special. Crossing oceans and continents and sharing a common language of rhythm. 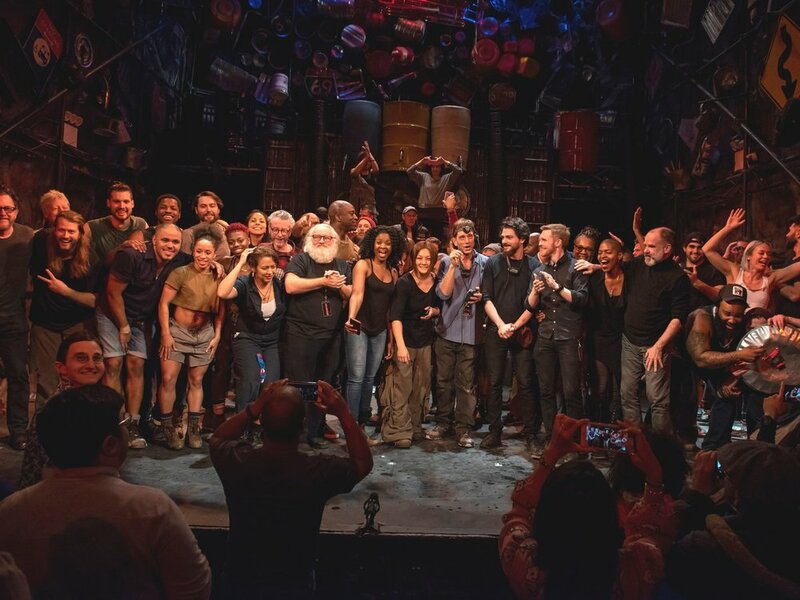 Of course not everyone could be with us to celebrate in New York but we were so grateful to receive many messages from current cast members on tour around the world, alumni cast from all four corners of the globe, super-fans bringing their own STOMP rhythm & of course some familiar friendly faces. Watch the messages below.